Univenture is famous within the industry for patenting the groundbreaking Safety-Sleeve® material for use in disc sleeve packaging, and our material capabilities have expanded to incorporate an even wider variety of purposes – from biodegradable and recycled content-based polypropylene for environmentally focused clients to limitlessly flexible PVC for virtually any application. No matter the packaging need, Univenture has a suitable material ready for use. Univenture is famous within the industry for patenting the groundbreaking Safety-Sleeve® material for use in disc sleeve packaging, and our material capabilities have expanded to incorporate an even wider variety of purposes from biodegradable and recycled content-based polypropylene for environmentally focused clients to limitlessly flexible PVC for virtually any application. No matter the packaging need, Univenture has a suitable material ready for use. 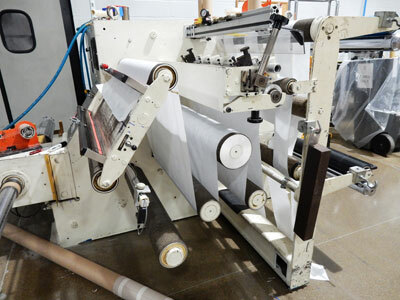 Our own patent, the Safety-sleeve® is the gold standard for protective media packaging. 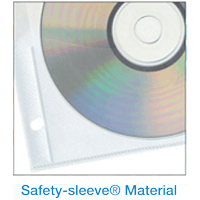 Since Univenture founder Ross Youngs invented the Safety-sleeve® in 1988, the novel product construction has been the best possible way to ensure the protection of compact discs. In all Safety-sleeve® products, the disc is suspended above a soft, non-woven, clean room material which uses no chemical binders and will not shed or form lint. Dirt and minute debris fall through the fabric and become trapped away from the disc. As a packaging and storage system, Safety-sleeve®s are compact and significantly less bulky the side profile is 75% thinner than the standard jewel box and costs far less to ship. Combined with Univenture’s unlimited flexibility in designing sleeves for specific customer requirements, the Safety-sleeve® is a natural choice to implement in projects involving compact discs.